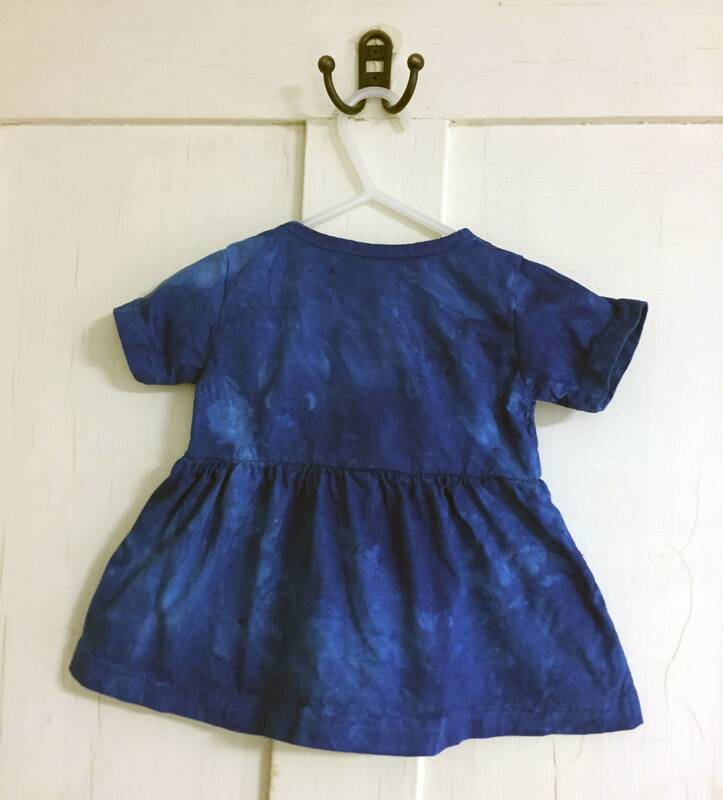 An adorable baby dress for parties and summertime picnics! 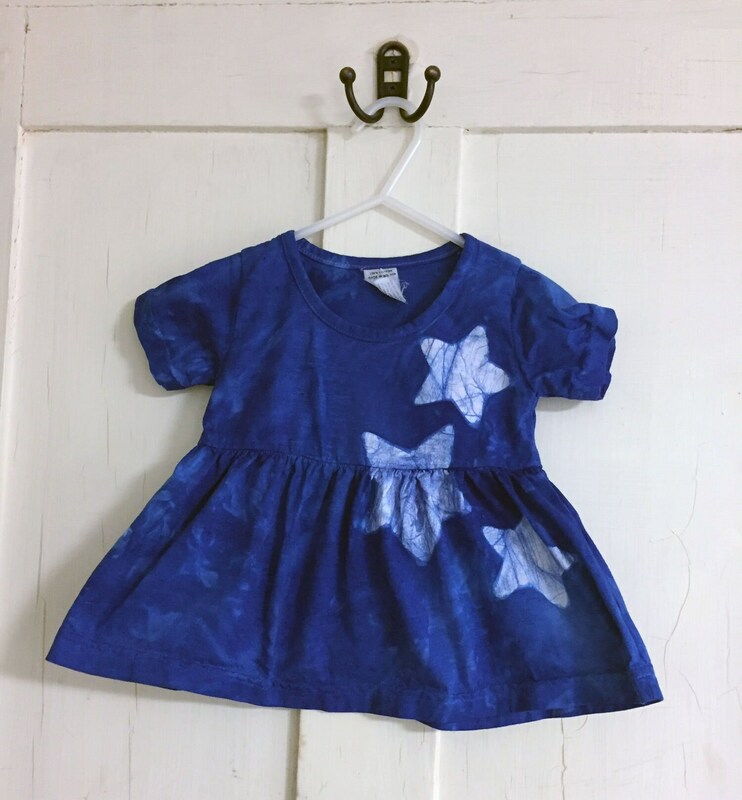 I stenciled several stars onto one side of this adorable baby dress and dyed the garment deep blue. This 12-month-size dress is ready to ship! These little cotton dresses are made by women in a Bolivian co-op. They are 100 percent cotton and have an empire waistline. When it gets too short to be a dress, get extra wear as a shirt with pants or shorts!